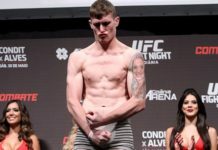 The UFC is back overseas, back in the U.K., and back with another UFC London card, as UFC Fight Night 147 unfolds this weekend, with Darren Till vs. Jorge Masvidal topping the card. UFC Fight Night 147 goes down this Saturday (March 16, 2019) from the O2 Arena in London, England, and is headlined by a welterweight contenders clash between Darren Till and Jorge Masvidal. The co-feature also takes place at 170 pounds, as the surging Leon Roberts meets Gunnar Nelson in an intriguing battle. And light heavyweight might have a new contender come Sunday morning if Dominick Reyes can get past former title challenger Volkan Oezdemir. 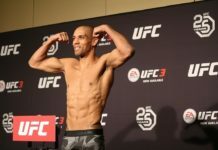 If you are looking for strategy tips and strong fantasy plays in your UFC London DraftKings MMA lineups for this Saturday, look no further than my Daily Fantasy Knockout premium breakdown. 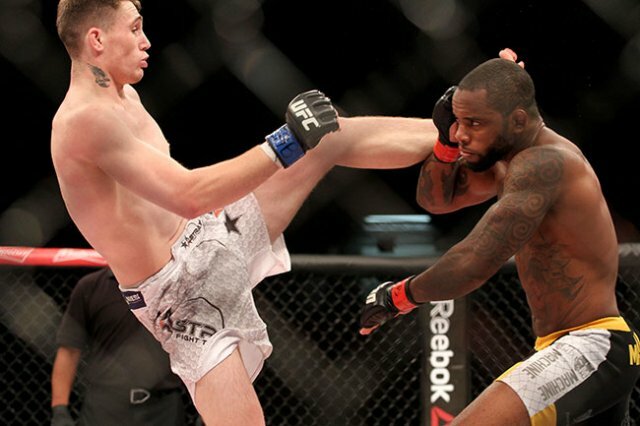 The article includes fight-by-fight previews, picks, odds, and DraftKings fantasy plays. See who to target and who to fade in your daily fantasy lineups. And as an added bonus, I’ve started dabbling in straight betting, and my plays are included at the end of the article. There is also a sample tournament lineup with a short synopsis of how I constructed it. 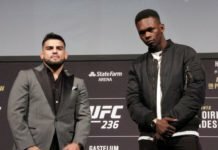 To see the kind of content you’ll be getting, see this week’s Daily Fantasy Knockout podcast above and find below the link to my UFC 235 DraftKings breakdown from two weeks back. Be sure to click the link above to our DFS Hub to find my latest daily fantasy content for UFC London!